Shela House is a restored colonial village house of great character accommodating just nine to eleven guests. 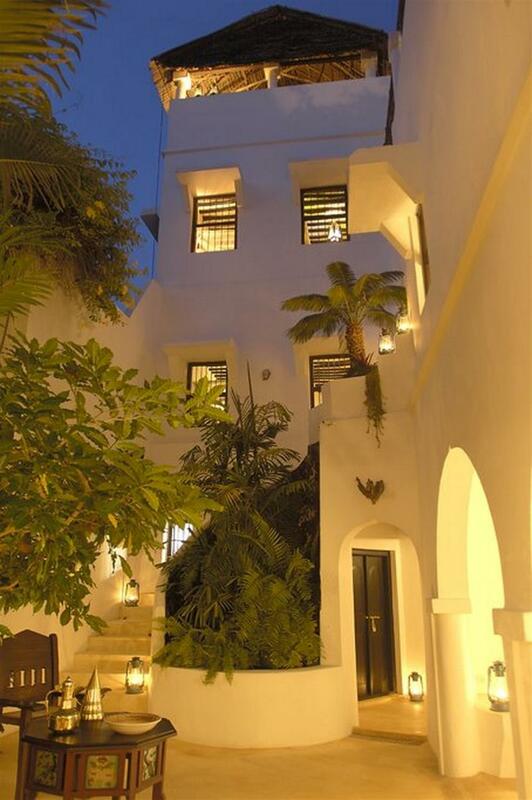 The house is built on three floors around an open courtyard, the house well and an ancient gardenia. 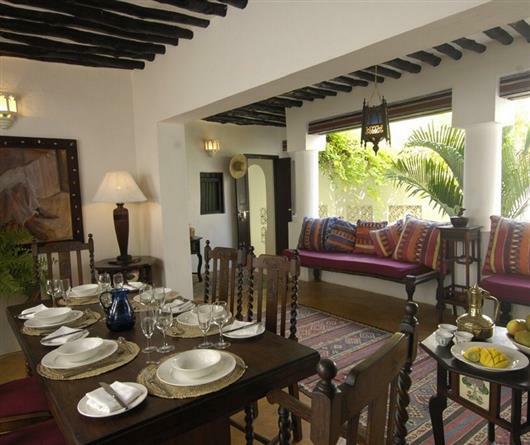 Old Lamu doors open into a hall and an open inner courtyard edged by a baraza sitting and eating area. Two staircases lead to the five en suite bedrooms — three double bedrooms, another with two large four-poster single beds and a smaller single bedroom. There is also a nursery room with a cot and two children's beds adjacent to the master bedroom. A second floor dayroom and terrace provide additional lounging areas with a small library of books for all ages. 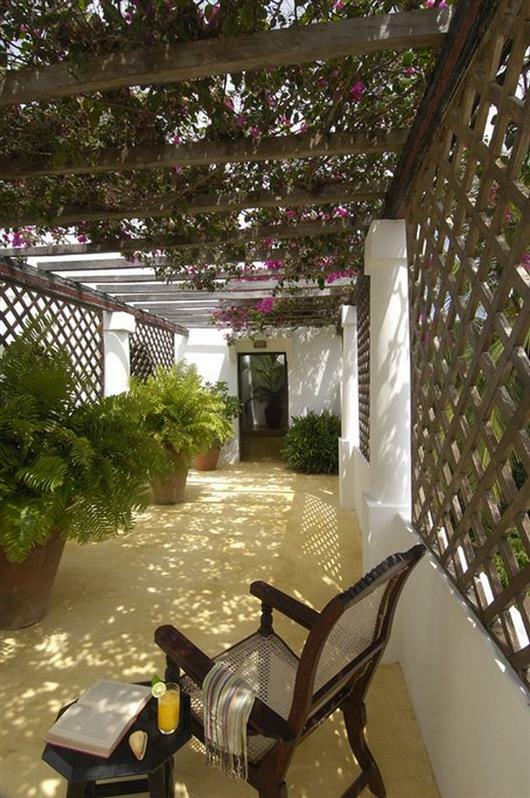 Guests can spend their time relaxing on the two rooftops in hammocks and sun beds or in the walled garden across the passageway. 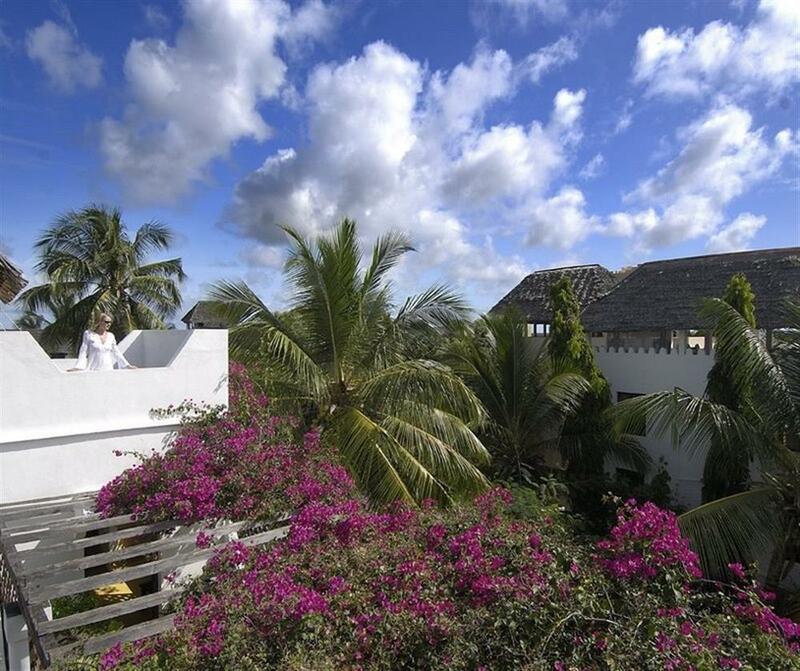 From here there is a view over Shela Village and the channel between Lamu and Manda Island. The house is a two minute walk from the beach. 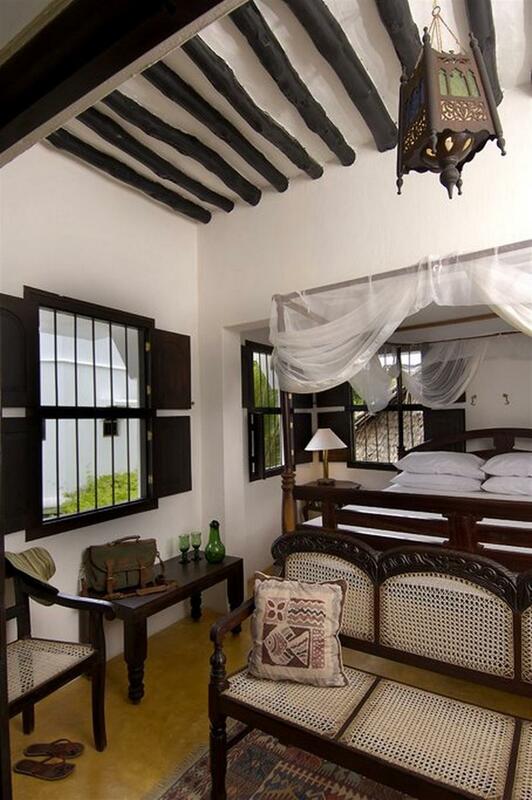 Lamu Island is a place where time has stood still. Here you can do nothing, just relax and read a book, listen to the birds, or go for a stroll along the beach. 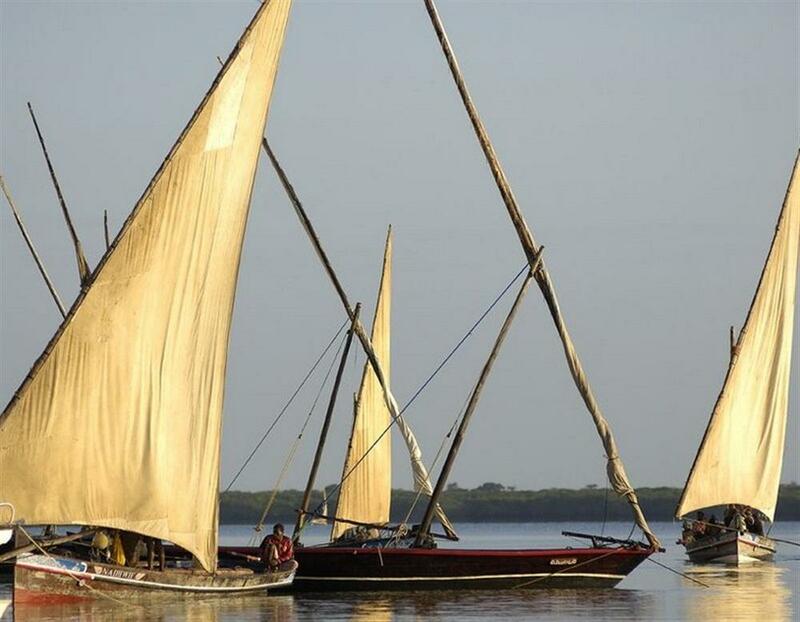 Other activities include snorkeling on the coral reefs off Manda Toto island, fishing from a dhow, windsurfing, exploring Lamu Town, body surfing and water skiing.